SPECIAL OFFER: 50% Off Your First 3 Months Of Payroll! Run your business. Offload payroll to us. We can take over your payroll, employee reporting, payroll taxes and more. So you have more time to run your business. Transparent, affordable pricing. No surprises. “I had contacted 4 local payroll companies in November 2015. I was most impressed with Gordon’s professionalism and the fact that he answered all of my questions without hesitation. 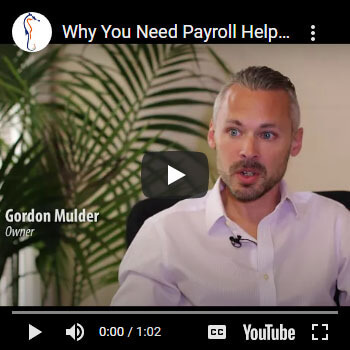 Gordon took all the guesswork out of handling payroll and taxes for my small company, with efficiency and at an affordable cost. We are a bonded, insured, payroll service provider specializing in payroll & payroll tax services for Small and Medium sized businesses in California and beyond. We act as your payroll department, offering quality support and knowledge for business owners and managers who need a trusted service as their partner. Each year we process millions of dollars for our clients on time, securely, and accurately, while offering the latest in online payroll technology. Being based in Orange County, California, we are able to provide localized payroll support to not only Orange County payroll clients, but to San Diego and Los Angeles as well. Nearly one third of our clients have come to us as referrals, which is the biggest compliment we can receive and speaks volumes about how we run our company. 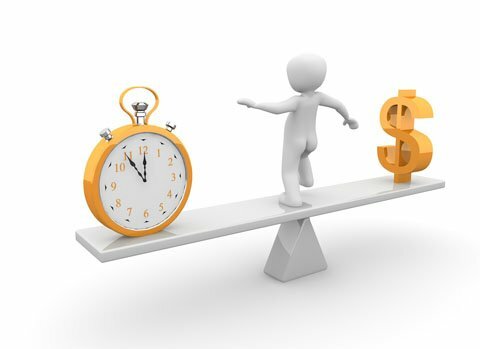 Experience the difference today and get the quality service you demand from your payroll service provider. Payroll tax filings, Direct deposit and custom reports. All quarterly and 401(k) reporting, accrual tracking etc. Employee access to online paystubs, make time off requests, address changes and much more! Our secure online time clocks are cost effective and simple to use. Contact us for a 30 day FREE trial! One seamless solution! No audit forms. No deposit required. Gordon and his team run this first class operation. Why go with the big box ADP when you can have professional, personalized services at a lower cost? It’s a no brainer. They take care of my payroll needs for multiple locations so I can focus on growing my business. Gordon promptly responds to all my questions and concerns. He also helps me take care of additional issues like workers’ comp audits and taxes. I wish I would have known about them years ago. You call you get to talk to Gordon, you email your data into him and it gets done… like a smooth-running machine. I strongly suggest you call Gordon and start having him handle your payroll needs today. We as business owners have enough to do without having to deal with Federal and State agencies. Put your efforts into your business that you know best, that is what makes you money. We’ve been with this company for almost a year and could not be more pleased. Gordon keeps us in compliance with all of the complex employment and tax rules. He is extremely patient, committed and giving of his time and knowledge without reservation. If we need help understanding something he is always there for us. If you’re thinking about getting someone to take over your payroll, give Gordon a call. He is more than affordable and worth every penny. I had stayed with a large payroll company because I thought it was difficult to change. Once my friend recommended Gordon, it was so fast and easy to switch! And my fees were cut in HALF! And I pay nothing when they file quarterlies. And he’s a million times more responsive. Content copyright 2019. Pacific Payroll Group. All rights reserved. The Pacific Payroll Group, LLC (“us”, “we”, or “our”) operates pacificpayrollgroup.com (the “Site”). This page informs you of our policies regarding the collection, use and disclosure of Personal Information we receive from users of the Site. When requesting a quotation or subscribing to our newsletter, you may be asked to enter your name, email address, mailing address, phone number or other details to help you with your experience. To send periodic newsletter emails if you have subscribed to this service. To follow up with you after correspondence (form, email or phone inquiries). Additionally, third-party widgets such as YouTube may install cookies depending on their configuration. You can instruct your browser to refuse all cookies or to indicate when a cookie is being sent. However, if you do not accept cookies, some of the features that make your site experience more efficient may not function properly. You can also stop being tracked by Google Analytics across all websites by going to Google’s Opt-out site. We may use your Personal Information to contact you with newsletters or marketing/promotional materials if you have subscribed to our newsletter, contacted us or requested a quotation from us. The security of your Personal Information is important to us, but remember that no method of transmission over the Internet, or method of electronic storage, is 100% secure. While we strive to use commercially acceptable means to protect your Personal Information, we cannot guarantee its absolute security. Please do not send sensitive data (e.g., Social Security, bank account, or credit card numbers) by email or web form. If the message is an advertizement, identify it as such in some reasonable way. Follow the instructions at the bottom of each email or email us at info@pacificpayrollgroup.com and we will promptly remove you from ALL correspondence. Last updated: April 14th 2018. Fill out the form to get your free quote.